When dreaming up Phoenix Wright back in the early 2000s, series creator Shu Takumi picked a date that seemed wayyyyy far in the future. Now we’re here. 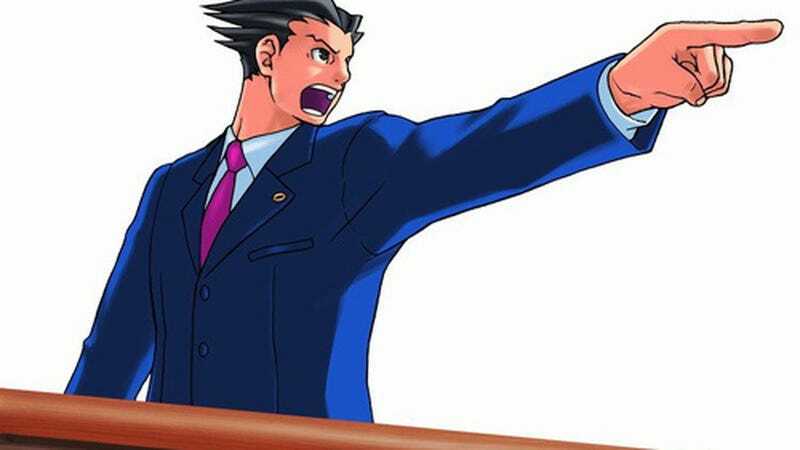 The first case of the very first Ace Attorney game, ‘The First Turnabout,’ takes place on August 3, 2016—15 years after Phoenix Wright made his debut on the Game Boy Advance. In this case, as you may remember, Wright teams up with his mentor Mia Fey to defend Larry Butz from false murder charges. It’s Wright’s first case as a defense attorney and a simple tutorial that’s also, as I can recall, the only case that opens up by showing you exactly who did it. Happy anniversary, Phoenix. Here’s to many more dumb adventures. And yeah, Ace Attorney is a wonderful series that you should really play if you haven’t already. The first three games are available on iOS and 3DS, the fourth game is on DS, the fifth game is on iOS and 3DS, and the sixth game will be out in North America for 3DS next month.